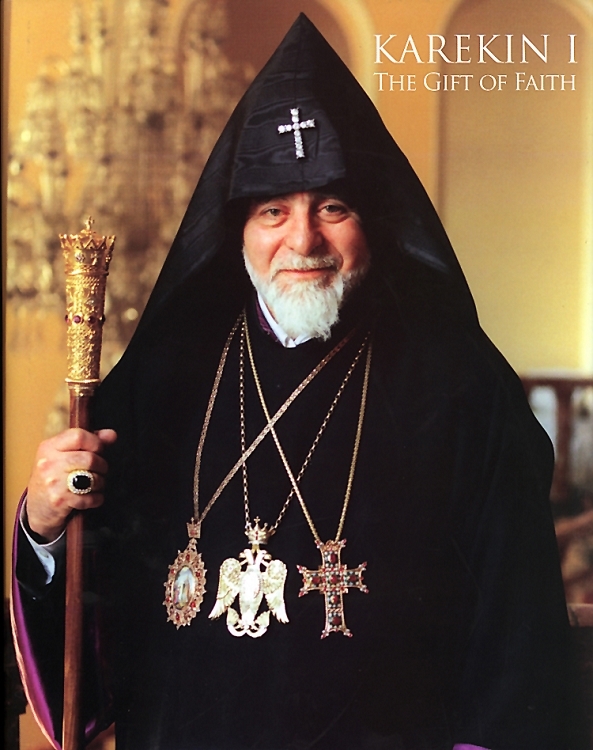 The Gift of Faith is a tenth anniversary memorial volume dedicated to the life of His Holiness Karekin I, Supreme Patriarch and Catholicos of All Armenians. It includes a biography of Karekin I as well as samples of his theological writings. Many colorful photographs are also included to document his meetings with world leaders and members of the clergy . This volume is a fitting tribute to the man credited with both reviving the Armenian Church after the fall of the Soviet Union and with improving relations with the Catholic Church. His Holiness Karekin I served the worldwide Armenian Church with great distinction for half a century. A graduate of the Theological Seminary of the Great House of Cilicia and Oxford University, he held the two highest offices in the hierarchy of the Armenian Church. He was elected to serve as the Catholicos of the Holy See of Cilicia in 1977 and the Holy Mother See of Etchmiadzin in 1995--the first such occurrence in the more than 1700 year history of the Armenian Church. His Holiness died on June 29, 1999 at the age of 67. His death was mourned not only by the Armenian Church, but by all of Christendom.